I am trying to install Fedora 28 on a laptop which has windows 7 pre installed. I am not able to understand how to manage dual boot so I created a USB live Fedora 28 disk. At the point to select installation destination things go wrong. As far as I know I need to create three partitions 1. Boot /boot 100mb 2 Swap 4GB 3 Root / 72 GB (the C drive of my Windows 7 installation) so this is what I tried to do also but I get errors. 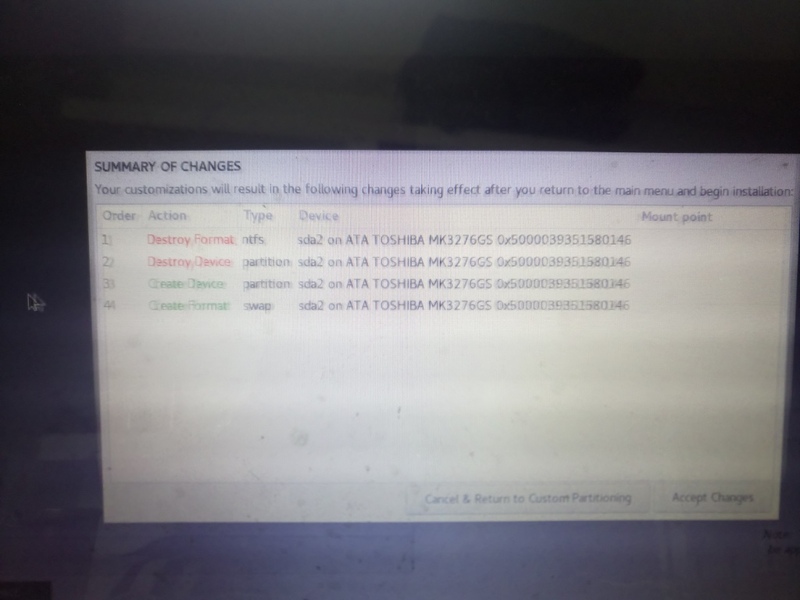 "disk sda already reached maximum allowed number of primary partitions"
Here are more screenshots Here are more images to give idea of errors I am having important data due to which I don't want to format other drives on my laptop. While we're tweaking your partitioning, I'd like to know how much RAM you have, because that will affect the size of your swap partition. A long-time rule of thumb is that it should be twice RAM, although if your RAM's big enough you may not really need one. As an example, this laptop has 2.8 G RAM and after being up for 39 days only has 117 M out of 6 G of swap in use. 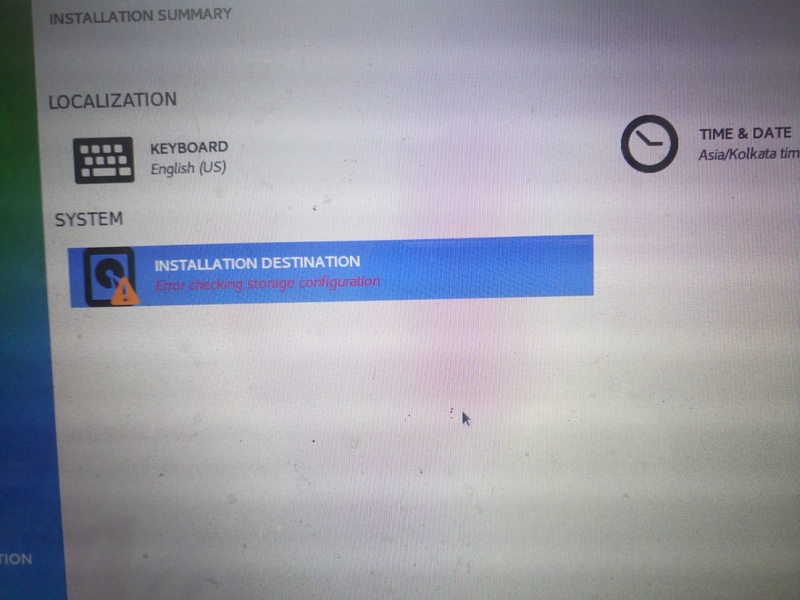 Attention: if there are recovery partitions for your preinstalled OS(Windows) do not erase this primary partitions without having external recovery medias, because then you are unable to reinstall this OS and you may loose your license without a genuine Windows sticker with the license! Make a backup of the whole system (images!). Resize one partition under Windows to free space. Create in the new extended partition the desired partitions(in your example three!) you need, and one logical drive(partition) for the erased primary partition before. Restore your saved images(they have to fit into the old and the new one partitions) to the appropriate partitions. I do the same action some times ago using Acronis TrueImage without any issues. gnome-disks aka Gnome Disks Utility (available on live booted Fedora) will also be able to perform those tasks. 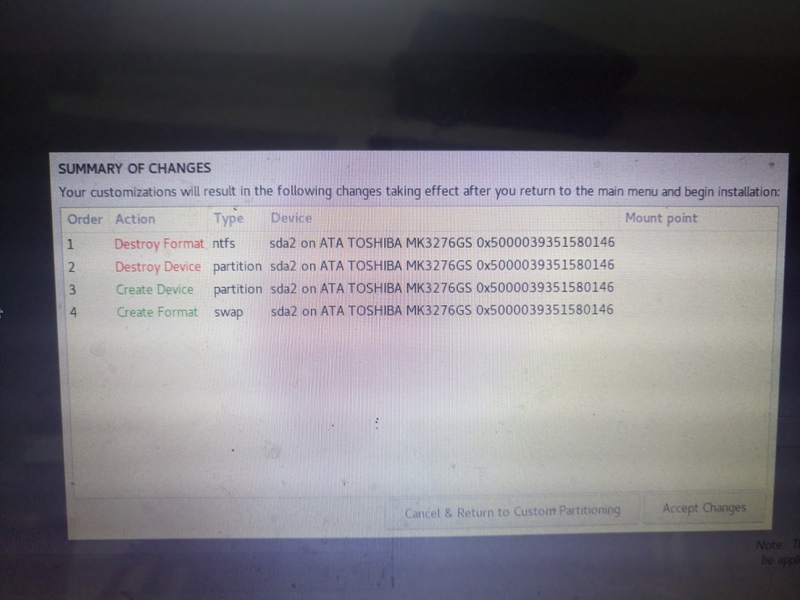 Personally I don't care about factory created recovery partitions, system they restore contains bloatware and most of the time I remove them, BUT in some cases there might be issues with activating fresh system with windows key from laptop's sticker. One such issue I've had with laptop bought with win 10 downgraded to win 7, this key was good for only one fresh reinstall of win 7, after that using recovery was required. So having image of original disk contents is recommended. If you have window installed on your laptop it means your disk is already partitionned, but these partitions are not suitable for fedora. 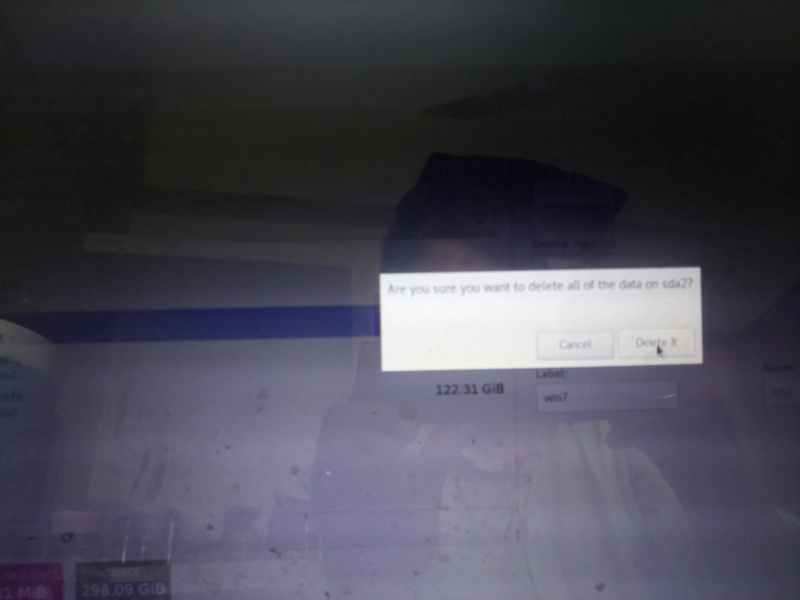 You have to resize windows partition to make unpartitionned free space. The installer will be able to create fedora partitions automatically on this free space. Fedora installer (anaconda) can resize existing partitions to make room for Fedora and then (automatically) create partitions for it, but in this case ("disk sda already reached maximum allowed number of primary partitions") @heliosstyx answer applies. 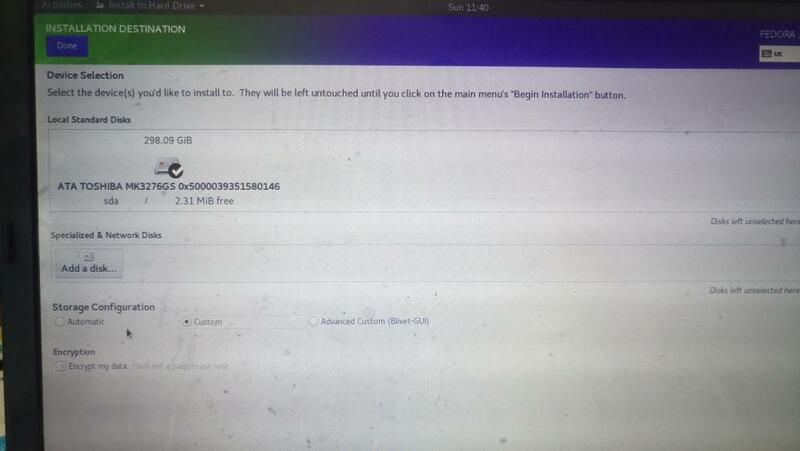 As explained [URL="https://geeksocket.in/blog/dualboot-fedora-windows/"]here[/URL] from the disk management utility From Disk Management Utility ( Win + X -> k ) Select the partition from which you are going to reduce some space. Right click -> Shrink Volume... -> Amount of space to Shrink: amount in MB Don’t shrink C drive unless you have large amount of space available there. Minimum 30 GB is recommended. A friend of mine shrinked sda3 and 20Gb space was free and then we were able to install Ubuntu 16 on the machine in problem. I will try fedora I have a lot of pending assignments to do so for the time being Ubuntu is fine. Below are error screenshots in Fedora installation.